​magazine, sharing news and information. 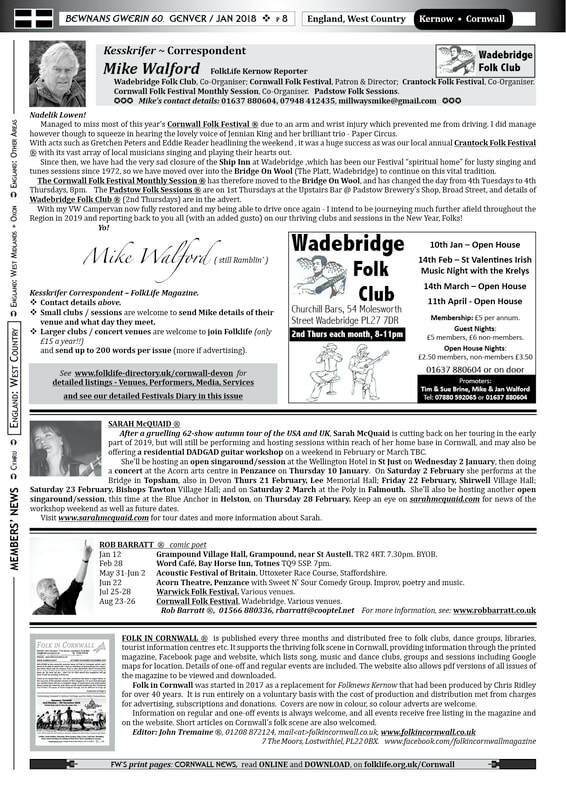 from Mike Walford, our FolkLife Kernow Reporter, at Wadebridge Folk Club, Cornwall Festival Folk Session (Wadebridge), Padstow Folk Sessions. 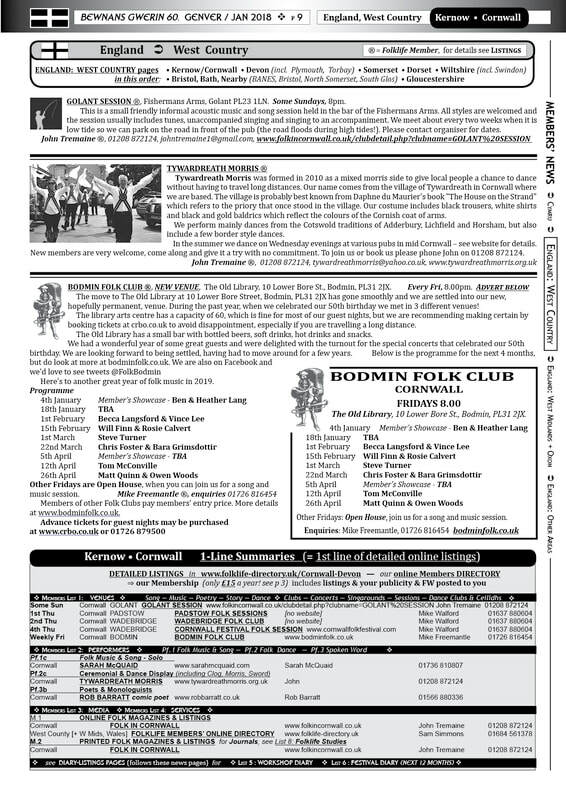 "Folk What's On" ​(simply a leaflet made up of the ads from FW), a reference copy is sent to these libraries: Bodmin, Bude, Camborne, Cornish Studies Library (Redruth), Cornwall Performing Arts Library (St Austell), Falmouth, Hayle, Helston, Launceston, Liskeard, Newquay, Penzance, Redruth, Saltash, St Austell, St Ives, Torpoint, Truro, Wadebridge. → WADEBRIDGE, Cornwall. Numerous venues throughout the town. 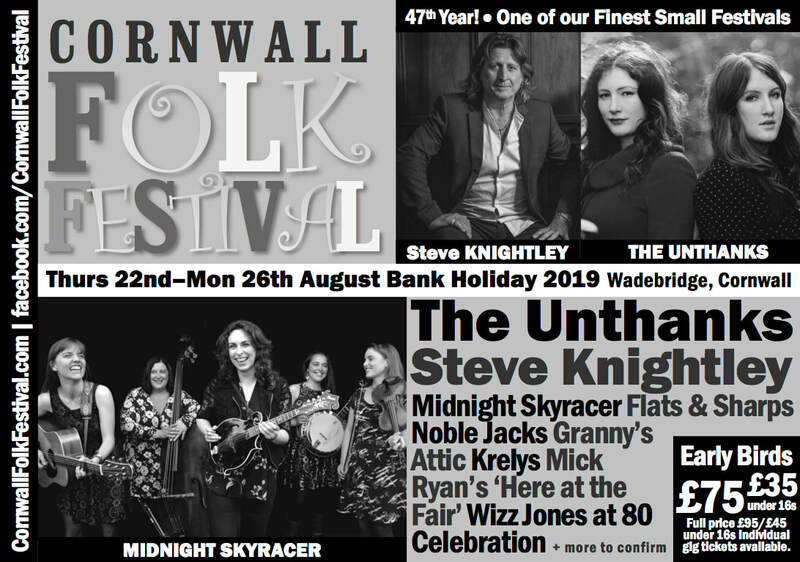 ⊕ Confirmed so far for 2019: The Unthanks, Steve Knightley, Midnight Skyracer, Noble Jacks, Wizz Jones 80th Year Celebration, Granny’s Attic, Mick Ryan’s “Here At The Fair”, with Cornish and regional bands aplenty on daytime FAR Stage; Free live music in the streets; Sessions in local pubs; workshops. Both Weekend and day tickets available. 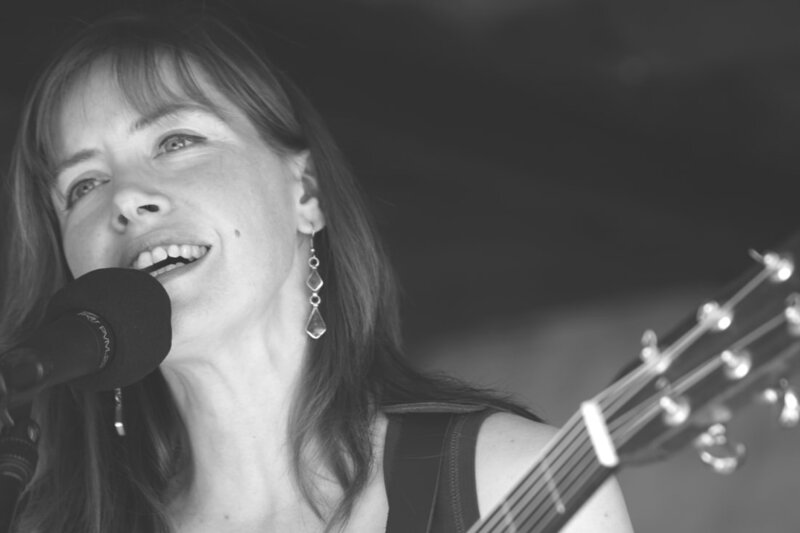 ⊕ There will be a headline act each evening while bands or solo musicians will be each playing one half hour sets throughout the weekend in our outdoor marquee in remuneration for a “pasty and a pint” whilst we will be running continuous “ Open House “ sessions inside the Old Albion Inn. Contact Mike Walford as above for further details please. ® Mike Walford, Festival Organiser. 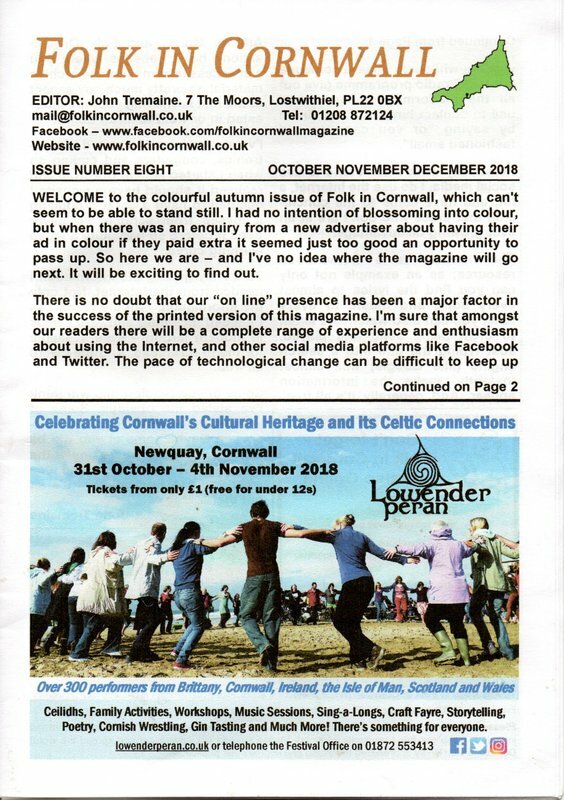 Cornwall News from Folklife members. 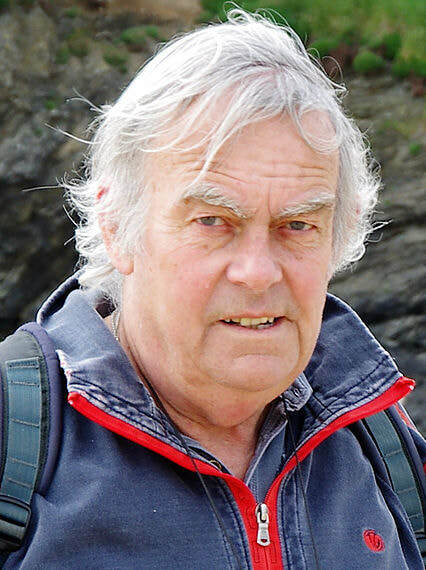 No Cornwall members for ➃ Services, but always glad to hear from enthusiasts who would like to join us !